THIS IS A VERY SPECIAL ONE TODAY. IT’S OCTOBER AND I’M REFLECTING ON ALL OF THE PROJECTS AND TASKS COMPLETED. I’M BACK HOME FROM A WORK TRIP, WRITING ABOUT ANOTHER SPECIAL TRIP THAT I TOOK RECENTLY. YOU KNOW, ALL YEAR LONG WE WORK SO HARD. 2018 HAS BEEN VERY BUSY AND NON-STOP. SO SEVERAL MONTHS AGO WE DECIDED TO GIVE OURSELVES THE R + R WE NEEDED. BUT IT WAS NOT JUST A VACATION FOR ME. IT WAS WHAT I CONSIDER TO BE A WELLNESS TRIP. A VACATION IN MY OPINION IS A PLACE TO LET LOOSE AND STOP THINKING ABOUT EVERY LITTLE DETAIL. A WELLNESS TRIP IS MORE OF A CONSCIOUS CHOICE TO MAINTAIN MINDFULNESS DURING A JOURNEY. IT IS AN INTENTIONAL ACT TO ASSESS AND UNBLOCK AREAS THAT CAUSE PAIN. IN THIS POST, I WANT TO STRESS HOW IMPORTANT IT IS FOR US TO HOLD SPACE THROUGHOUT THE YEAR FOR OURSELVES. I WANT TO STRESS THAT WELLNESS IS NOT BOUGIE. WELLNESS IS ABOUT WATERING THE SOUL. REMEMBER, EVEN WHEN YOU ARE ON A TRIP, BE IT A SOLO JOURNEY OR A GIRL’S WEEKEND, YOU ALWAYS HAVE A CHOICE IN WHAT YOU DECIDE TO DO. WHETHER ITS A YOGA CLASS OR A QUICK GYM SESSION, NEVER LET ANY PERSON SHAME YOU FOR TAKING TIME TO CARE FOR YOURSELF. IF YOU NEED THAT 5 MINUTES FOR MEDITATION OR YOU DECIDE TO ORDER SOMETHING HEALTHY FROM THE MENU, YOU ARE EXERCISING WELLNESS. YOU ARE LIVING IN YOUR LIGHT. THAT’S ONE THING I’VE LEARNED IN MY EXPERIENCES. WELLNESS SHOULD BE LIKE TAKING A SHOWER. THE ONLY DIFFERENCE IS THAT IT’S DEDICATED TIME TO CLEANSE YOUR MIND. 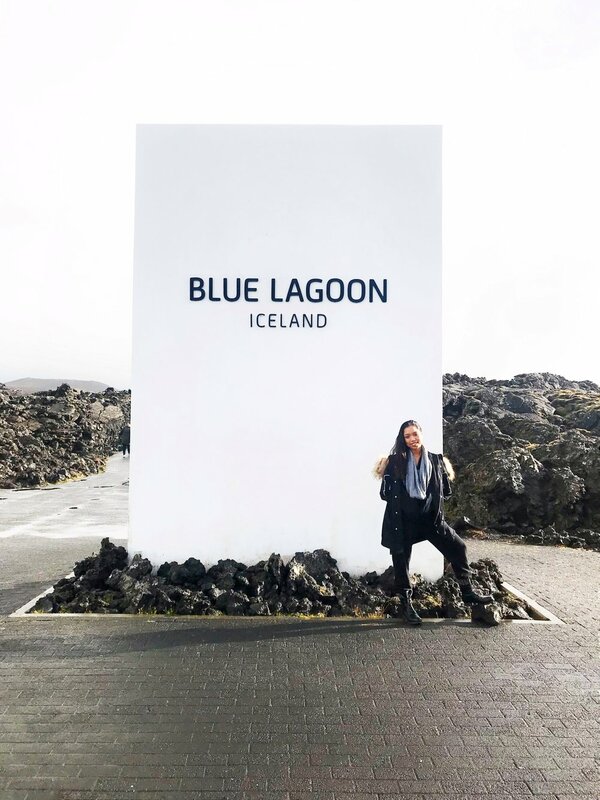 IN ICELAND, I FELT SO MUCH MORE RELAXED AND SPONTANEOUS! IT WAS THE PERFECT PLACE TO HEAL AND REFLECT. PHYSIOLOGICALLY I FELT AMAZING, I GAINED A GREATER SENSE OF MENTAL CLARITY. I WAS TAKING IN NEW MEMORIES FOR THE FIRST TIME IN SO LONG. THAT BEING SAID, WHEN WE HAVE OPPORTUNITIES TO BRING GRATITUDE AND LIGHT INTO OUR LIVES, IT’S ESSENTIAL TO LEAN IN DURING THESE TIMES AND FOCUS ON GIVING LOVE TO OURSELVES. AS YOU READ ALONG, MY HOPE IS THAT THIS POST WILL INSPIRE YOU TO IMPLEMENT WELLNESS THIS WEEKEND. WE CAN BE ANYWHERE IN THE WORLD, THAT IS THE BEAUTY OF IT ALL! EVERYTHING WE NEED IS ALREADY WITHIN. WITHOUT A DOUBT THIS IS THE FIRST PLACE TO START YOUR TRIP. AFTER A LONG FLIGHT, ALL I WANTED TO DO WAS SOAK. I WAS A LITTLE SLEEPY AS MY JET LAG WAS KICKING IN, BUT A SPA DAY IS PERFECT FOR A TRANSITION INTO THE NEW TIME DIFFERENCE. THE BLUE LAGOON STAFF IS VERY PROFESSIONAL. IT’S QUIET, PRIVATE, AND INVITING. MY FAVORITE THING WAS EXFOLIATING MY SKIN WITH THE SPECIAL SALTS AND RUBBING COOL CLAY MASKS ALL OVER MY BODY. AFTER SPENDING A GOOD HOUR IN THE GEOTHERMAL BATHS, A CLAY MASK IS VERY GOOD FOR THE SKIN. IT FELT AMAZING. DEPENDING ON YOUR PACKAGE, THE SPA SETS UP A NICE SPACE FOR YOU. THE SCENERY IS GORGEOUS, I’VE NEVER SEEN ANYTHING LIKE IT. LUSH FAUNA AND HILLS ARE THE BACKDROP TO YOUR BRUNCH. 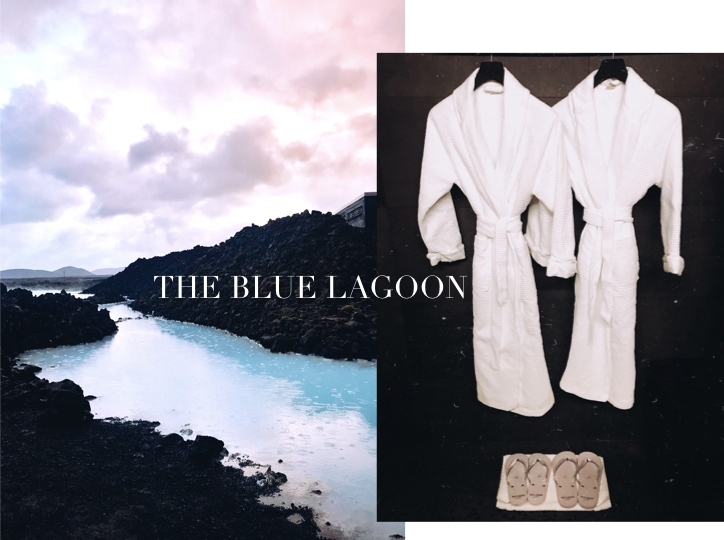 AESTHETICALLY, ICELAND HAS A VERY HEALING VIBE AND YOU ALWAYS FEEL CLEAN. THIS IS A WONDERFUL WAY TO CONNECT WITH NATURE + ANIMALS. I ADORE THE HORSE SPECIES AND HAVE ALWAYS LOVED LOOKING AT THEM. ONE OF MY FIRST TIMES WAS AT TRAVAASA SPA RETREAT IN AUSTIN! LAXNES HORSE FARM IS WHERE WE WENT. THEY EQUIP YOU WITH GEAR TO KEEP YOU WARM AND SAFE THROUGHOUT THE TOUR. THE HORSES ARE VERY LARGE AND PLAYFUL SO YOU HAVE TO CONNECT YOURSELF TO THEM BECAUSE THEY CAN SENSE YOUR FEARS AND WEAKNESSES AS THEY ARE HIGHLY INTELLIGENT ANIMALS. I RECOMMEND SUCH AN EXPERIENCE AS YOU WILL SEE SNOW COVERED MOUNTAINS, STREAMS, BLUE SKIES AND BREATHE IN FRESH AIR ALONG THE TOUR. RIDING THROUGH REYKJAVÍK MADE ME FEEL RENEWED AND THE SCENERY ALONE DOES WONDERS FOR YOUR MENTAL WELLNESS. NATURE HAS IT’S WAY OF TEACHING YOU HOW TO LOVE SOMETHING GREATER THAN YOURSELF. THERE’S A REASON YOUR MOTHER WOULD BRING YOU CHICKEN NOODLE SOUP OR PHO WHEN YOU WERE SICK! THE BROTH ALONE HAS MANY NUTRIENTS AND VITAMINS TO BRING YOU BACK TO YOUR BEST SELF. SINCE ICELAND IS QUITE PRICY ON THE AMERICAN DOLLAR, ONE OF THE BEST THINGS WE DID WAS DINE ON RAMEN AND BREAD BOWLS. AND BOY WERE THEY DELICIOUS! FOR ABOUT $30, THEY KEPT US FULL AND WARM. FEEDING YOURSELF GOOD FOOD IS A FORM OF SELF LOVE. 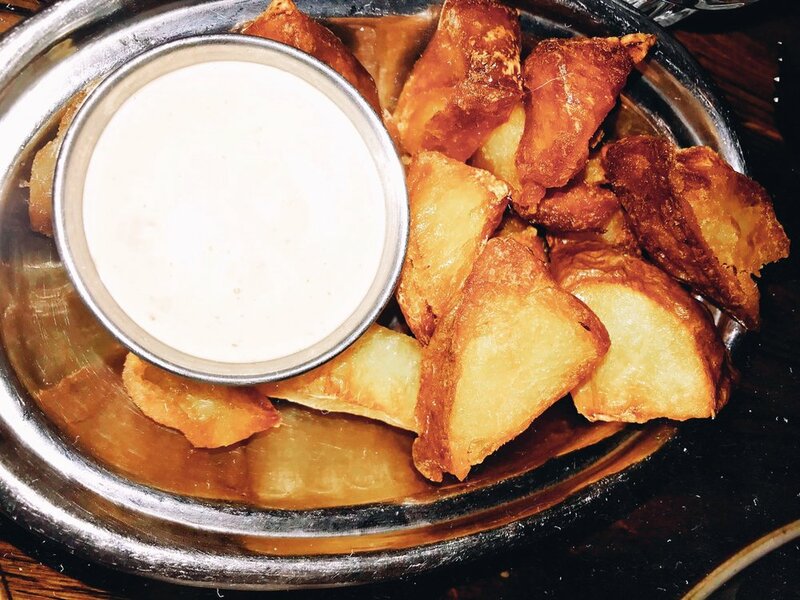 IT’S GOOD TO INDULGE IN CUISINE THAT WARMS THE BELLY AND SOUL. OFTEN TIMES WHEN WE ARE ON TRIPS, WE GO INTO “GUILT MODE” OVER FOOD AND START MENTALLY PLANNING GYM SESSIONS WHEN WE LAND. TRY TO REFRAIN FROM IT. EAT AND NOURISH RATHER THAN SHAME AND ANALYZE. IT SEEMS LIKE EVERY TIME WE WANT TO VACATION, WE TEND TO PLAN TRIPS TO WARM CLIMATES, COMPLETE WITH WHITE SAND BEACHES, OCEANIC VIEWS AND BRIGHT FLORALS. BUT THIS TIME AROUND, WE WANTED SOMETHING DIFFERENT. A COOL CLIMATE TRIP CAN BE JUST THE THING YOU NEED. I KNOW GLOOMY DAYS MAY SEEM DEPRESSING, BUT IF YOU’RE IN A NEW PLACE, IT CAN BE VERY CALMING. I LOVED WAKING UP TO OVERCAST. IT KEPT THE ROOM LIGHTING SERENE MOST OF THE TIME. ON OUR VERY LAST DAY, THE SUN PEAKED THROUGH. BUT REYKJAVÍK IS MAINLY A COLD ENVIRONMENT WITH GLACIERS AND SNOWY MOUNTAINS. IT DRIZZLES THIS TIME OF YEAR SO IT ALLOWS YOU TO MAKE TIME FOR REST. FROM THE ICE BLUE GEOTHERMAL POOLS, TO THE STONE STRUCTURES, THE COLORS I SAW WERE MOSTLY GREYS AND BLUES. GREY IS MY FAVORITE HUE SO IT WAS HEAVEN FOR ME! HARPA CONCERT HALL AND HALLGRIMSKIRKJA CATHEDRAL ARE TWO AMAZING SIGHTS AS WELL. IT WAS #TEXTURE PARADISE. NEXT TIME YOU ARE ON A TRIP, PAY ATTENTION TO THE WEATHER AND COLORS AND HOW THAT AFFECTS YOUR MOOD. WHAT DO YOU END UP DOING? HOW DO YOU RESPOND TO IT? MY LIFETIME BUCKET LIST HAS BEEN TO SEE THE NORTHERN LIGHTS. I’VE ALWAYS HAD AN ADMIRATION FOR SPACE AND THE SKY AND ASTRONOMY. SEEING THE LIGHTS THIS YEAR WAS A TRUE BLESSING. WHEN WE DROVE THROUGH THE RUGGED TERRAIN, SUPERJEEP ICELAND TOOK US TO A DESERTED AREA WHERE THERE WAS LITTLE TO NO LIGHT POLLUTION. THE FALL IS THE BEST TIME OF YEAR TO GO. AT AROUND 8 PM WE STARTED TO SEE WARM GREEN COLORS APPEAR IN THE SKY. THEY WERE VERY DIM AT FIRST. THAT’S THE THING ABOUT LOOKING AT THE NORTHERN LIGHTS - YOU HAVE TO GIVE IT TIME. HOT COCOA AND VODKA WERE GIVEN OUT AS WE DROVE OUT TO A SNOWY LANDING. AT AROUND 11:45 PM JUST BEFORE HEADING BACK TO THE HOTEL, THE LIGHTS BEGAN TO DANCE! IT WAS LIKE NOTHING I’VE EVER SEEN. I FELT A SPIRITUAL MOMENT INSIDE. I FELT THANKFUL FOR EVERYTHING 2018 HAS BROUGHT INTO MY LIFE. SEEING THE NORTHERN LIGHTS IS SOMETHING I CAN NEVER FORGET. IF YOU GET THE CHANCE, I RECOMMEND YOU DO THIS! THEN WRITE ABOUT YOUR EXPERIENCES. KEEP THEM IN A JOURNAL TO READ IN THE FUTURE! THE LIGHTS MADE ME FEEL SO SMALL. I WAS WATCHING THE BEAUTY OF NATURE IN ALL ITS GLORY. I HAVE NEVER TRULY DONE THAT BEFORE NOR MADE TIME FOR IT. IT’S ALMOST LIKE AN ASTRONAUT LOOKING DOWN AT THE EARTH AND REALIZING HOW SMALL HER PROBLEMS ARE. THE NORTHERN LIGHTS WAS MY ABSOLUTE FAVORITE PART OF REYKJAVÍK. I WOULD CERTAINLY DO IT ALL OVER AGAIN.